Karma, an action that causes an entire cycle to come full circle, you could say that everything comes full circle. 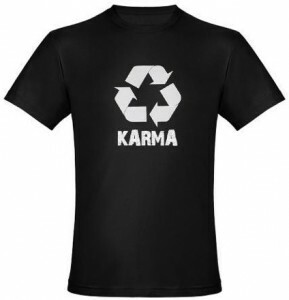 This t-shirt has a unique symbol on the front, kind of a recycle symbol but most importantly it represents Karma, something coming around full circle. Underneath this symbol there is the word “KARMA” printed aswell. Made from 100% cotton your Karma t-shirt will be very comfortable and last a long time. Find it in many sizes,colors and check out the different styles for women and men. Recycle or Die that is what this t-shirt says. This t-shirt is for women only so men we don’t have to recycle (just kidding). It is a funny shirt but with a truth to it because if we don’t recycle we will be all living on a garbage dump sooner or later. 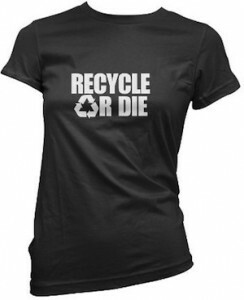 Go have fun and wear this Recycle Or Die T-Shirt. Save the planet one small step at a time. Earth Day is a great day once a year to be reminded of the fact that our planet need some help to get back in shape. 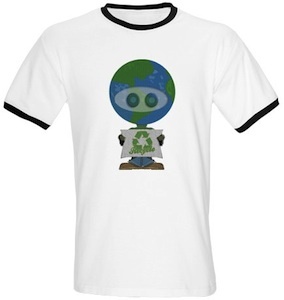 And in 2011 earth day is on April 22e and that means people from all ages please help our planet and wearing a t-shirt like this will make a message. This design is available on all kind of stuff. From baby to grown up clothing to mugs and stickers. 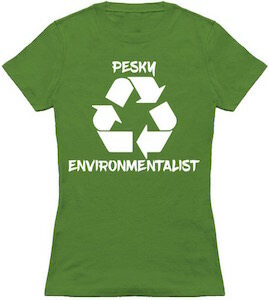 Help the planet with this Earth Day Recycle T-Shirt.